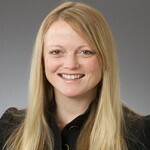 Michelle Sagatov is a licensed real estate agent at McEnearney Associates. McEnearney Associates is a locally owned and operated, independent real-estate company that specializes in buying, selling and leasing property in the Washington, D.C., metropolitan area. Founded in 1980, McEnearney Associates offers a full range of real estate services including residential sales and leasing, commercial real estate, individual and corporate relocation services, rental property management, PAWSitive Experience for people buying and selling a home with pets. As one of my colleagues likes to say, “It’s time to get your Martha Stewart on!” The closer you can get your home looking like a model home, the greater your chance for creating emotional appeal and therefore maximizing the sales price. 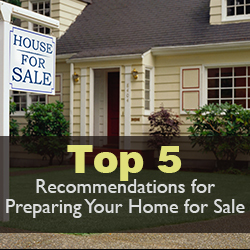 Below are the Top 5 Items I recommend for a seller to do before listing any home that is not being sold as a fixer upper or tear down. Ever hear of the term, “Never Judge a Book by its cover”, well buyers judge and if your front yard is not welcoming, maintained and kept up, chances are the buyers may ask to “Keep on going” once they see your front yard and never make it inside. Schedule to have your lawn trimmed and edged, planting beds mulched & plants lightly trimmed if needed, and add a little “pop” of color with flowers. Make sure you have a fresh welcome mat, fresh coat of paint on your front door and polish and clean your door hardware. Whether you are going to do it yourself or hire professionals, make sure you deep clean your house. This includes cleaning windows, dusting trim, bleaching grout & caulk, dusting blinds & ventilation grills, cleaning the oven & microwave, sweeping the garage… basically the ultimate spring cleaning. While you’re at it, replace old shower curtains and decorative towels. They will look crisp and smell new. The object is no longer about function so put away all the small kitchen appliances and miscellaneous items on your kitchen countertops. You want them to feel as spacious as possible. Do the same for bathroom counters. Box up any unnecessary knick knacks and personal photos. Organize your closets and box up anything not being used for this season. Walk through each room in your house and collect anything that may be considered clutter. If necessary, rent a storage pod for items you do not have room for. In case you were wondering… it is almost always better to paint and address the floors than to offer a credit. If you are selling your home as move-in ready, potential buyers want to see the full potential. A credit sounds nice, but it is not as powerful as a well presented home. Paint the walls if necessary. You can get away with touch-up paint or use a magic eraser if there are just a few minor scuffs. If the carpet is just lightly soiled then try a good steam clean first. If the carpet is worn down, then it needs to be replaced. If the hardwood floors are scratched or worn, then sand & refinish them. This may be more work than you were hoping for, but I guarantee it will be worth the return on investment. If you are on a tight budget, most of these items can be done yourself. Let’s face it we all have our own unique style, whether it is art, bright colors or having 100’s of pictures of our beautiful family. However, when you are putting your house on the market, the goal is to sell the house and in order to do so a potential buyer needs to be able to see themselves living in your house. In order to maximize your price and sell your home quickly, appealing to a broad range of buyers is towards your advantage. The only way to do this is to tone down the wall colors, take down the personal photos, and remove any art work that maybe too extreme.